Please click here if interested in serving as a juror for our upcoming 8th-grade Mock Trial: Closing Arguments on Tuesday, October 30, 2018! "It takes all the bees to make the honey, honey!" Please join me for an exciting opportunity to learn this school year! Let’s celebrate by delving back into the academic world of reading and writing, of growing as critical thinkers and effective communicators. Our focus in 8th grade ELA is on literacy: honing reading development, integrating all parts of the writing process, improving language usage, and expanding vocabulary knowledge. Whether you call yourself an avid, closeted, or reluctant writer and reader, we are in for quite an adventure in our “beehive” as we take risks in the written word together. I eagerly look forward to the time and experiences we will share as we celebrate that each day is a chance to learn something new. Come see what all the “buzz” is about! Please check your child's planner often to see what we are working on, to stay up-to-date on approaching deadlines, and to communicate easily with me. I require my students to record our agenda each day to help develop self-discipline and time-management skills. Thanks for visiting my page! 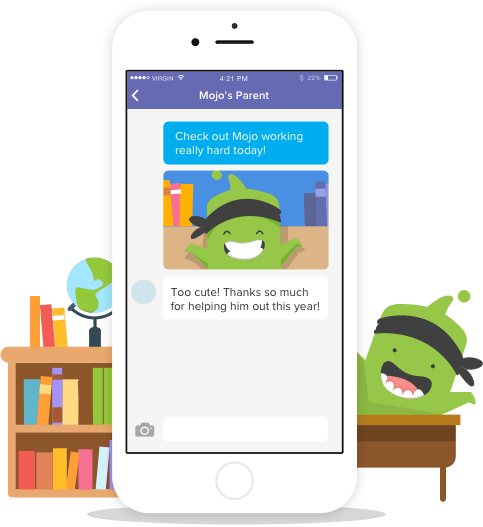 Track your child's behavior on Class Dojo! Please use the code that I sent home or email me for a new code. My classes compete against each other for "Be" points: They earn points for remembering to "be" the "Three Be's" (Be respectful, be responsible, and be responsive). This is my ninth year to teach at GMS, and I am so proud to be a Maverick! I earned my BA in English from Ole Miss in 2001, and I became a National Board Certified Teacher in 2012. I have fourteen years of teaching experience, six of which were at the high school level. Over my teaching career, I have taught everything from state test remediation classes to higher-level pre-AP courses as well as Spanish I. I have found my happy place, though, here at GMS teaching 8th grade ELA and now Spanish I!